Century 21 Prolink Siouxland Expands Office! 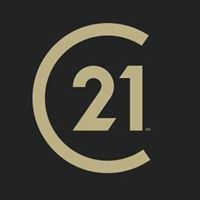 ProLink based in Sioux City and Le Mars, Iowa is pleased to announce their merger with CENTURY 21 Jacobsen Real Estate located in Spencer, Iowa. 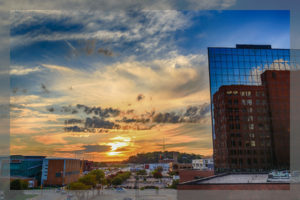 The combined company will operate under the CENTURY 21 ProLink name and specialize in Residential, Commercial and Relocation property sales as well as Property Management. 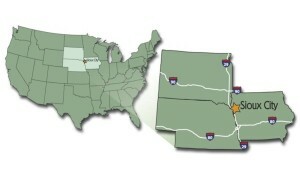 The merger will expand their overall territory to cover Northwest Iowa, Southeast South Dakota and Northeast Nebraska. Looking at the success of both companies, the pair saw this merger as a growth opportunity for clients and agents. The merger will join the talents of Lisa Wagner and Kyle Kelly, Broker/Owners of CENTURY 21 ProLink and John Goede, Broker/Owner of CENTURY 21 Jacobsen Real Estate. Jointly, the two brokerages have over 650 years of experience and will continue to offer market-leading real estate services to their clients. CENTURY 21 ProLink is a progressive, technology-driven real estate brokerage. It was the first real estate firm in Siouxland to launch a paperless file service. Additionally, the company provides extensive knowledge of the local neighborhoods, schools, market conditions, zoning regulations as well as what it takes to make a successful real estate transaction. And now is the first company to offer a Virtual Office concept for agents who want the power of the CENTURY 21 brand in more communities. CENTURY 21 ProLink will be led by the three Broker/Managers, Lisa Wagner, Kyle Kelly, and Jim Gergeni. Each one will focus on a specific piece of the real estate firm. They will continue to offer the same exceptional service in the Sioux City, Le Mars, Spencer and the Iowa Great Lakes markets. CENTURY 21 ProLink is a full-service real estate brokerage. You may reach any member of the team by calling 877-235-1532 or emailing Info@C21ProLink.com. To learn more about our company, agents and new listings, visit us at www.CENTURY21ProLink.com, www.C21ProLink.com/blog, on Facebook, Twitter, Pinterest, Instagram, Flickr, LinkedIn or Yelp.